Serendipitously I have found some fully fenced accommodation in National Park Village, it even has mountain views! I’ve been here about a month now and am finally getting settled in, resuming my duties as the commandant of Colditz Castle as Louie tries to find ways out. Louie and Kala seem to be adjusting to the sights and sounds of urban life, although Louie clearly misses being able to slope off into the bush for a couple of hours at a time. The neighbours two down have Corgis and a visiting puppy and Louie spends a lot of time checking the neighbours out from the second story lounge. This isn’t our permanent home but it gives us some breathing space to hunt around and stay together – if this opportunity hadn’t come up, I would have been making some tough decisions in March after getting back from the EMA course. It’s getting colder now and we have the fire on most days. Without tbe elevated ceiling of the Lodge, heating the lounge when I get home from work each night only takes about the same amount of time as it takes to feed the dogs so we now have a fixed routine in the evenings. I’m liking living in the Village for now, being able to walk to and from work each day, meeting people, having occasional chats on the roadside, getting a feel for the Village vibe, not being last on the truck when the siren sounds…but…I miss the dogs and that’s my main motivation to find a new home. You are both familiar with my case and, I suspect, still following it. The forcible auction scheduled for 11AM on 8 November was cancelled at the last minute, after people had started to arrive for it. ANZ did not communicate this to me or its reasons for a last minute cancellation. I had cooperated fully with the agents’ marketing plans and open homes…in fact, a month of open homes was great motivation for house work. I, with many others, assume that ANZ’s sudden cancellation was a result of its discomfort after 1 News started to ask inconvenient questions about its original reckless lending and its conduct subsequent to my challenges to that lending. On 15 November, I learned – almost by accident – that ANZ was selling my home by tender, closing at 4PM tomorrow, Friday 30 November. I don’t believe that I was intended to know of this development. When there was no visible marketing after two working days (the tender period was only twelve working days in total), I raised my concern with the real estate agency which stated that it was operating under instructions from ANZ’s Customer Financial Well-being unit. Early the following week, a listing was posted online but it was not until the afternoon of 15 November (six and a half working days remaining in the twelve day tender period) that a sign was placed on the front fence. ANZ has still not contacted me to inform me of the tender or its reasons for cancelling an auction that had considerable credible buyer interest. I believe, and there is no evidence to suggest otherwise, that ANZ New Zealand did not intend for me to learn of the tender until it had closed tomorrow. Nor have I had any formal notification from the agents other than a request for an viewing tomorrow morning which I have agreed to. It is ANZ’s responsibility, either directly or through Bell Gully, to communicate with me with regards to the forced sale of my home. It is not the responsibility of the real estate company, my ex-partner, or someone who just happened to hear of it to tell me of this. The scheduled auction offered the best opportunity for the best return for all parties. It had been well-marketed for over a month and all the open homes were well-attended. From comments made to me prior to the cancellation, and the number of people who came to the auction only to be turned away, there was considerable interest in the auction around the Ruapehu District. Many of these people did not know of the tender until I told them of it. It is unlikely that a poorly-marketed tender will realise the same return as a well-subscribed well-marketed auction. There is no logic- or business-based reason for ANZ to adopt a form of sale that is less likely to realise the same return as the original auction. If ANZ had legitimate reason to cancel the auction, it could have simply rescheduled the auction after a suitable period to re-engage the market. The only reason that ANZ would have selected a form of sale which reduces its returns is because it seeks to avoid media interest and the subsequent public spotlight on its activities. In doing so, it seeks to further penalise me for its actions and will still fall short of avoiding that media interest and public spotlight on its conduct. Is it fair that ANZ put me through the stress of a second forced sale after only a week since it cancelled the first one? Is it fair that it do this without even the courtesy of telling me? Is it reasonable that it adopt a form of sale likely to reduce its own return as well as mine? Is it reasonable to do this without a proper period of market engagement? Is any of this ethical, by any standard of ethics? Are ANZ’s actions consistent with obligations, not just under the Code, but to its shareholders to realise the best possible returns? I also note that Antonia Watson, ANZ’s Managing Director Retail and Business Banking, in our recent correspondence, bemoaned the fact that ANZ will ‘need to write off a substantial portion of the monies owed to us after settlement is due’. In fact, is there anything inANZ’s actions or conduct that could be considered fair, reasonable or ethical? Nicola, in our most recent meeting, you cited this specific clause in the latest version of the Code, for banks to act fairly, reasonably,and in good faith, in a consistent and ethical way as granting you greater powers to hold banks in New Zealand to account. Now is your opportunity. Please consider this email a complaint against ANZ New Zealand’s management of this phase of its recovery process. Specifically that ANZ New Zealand has failed to meet its obligation under the Code of Banking Practice 2018 to act fairly, reasonably, and in good faith, in a consistent and ethical way. It has failed to communicate its intentions for the forced sale of my home to me; it has failed to communicate the reasons for cancelling the scheduled auction that offered the best return for all parties; it has caused me considerable additional and unnecessary stress through these failures on its part. 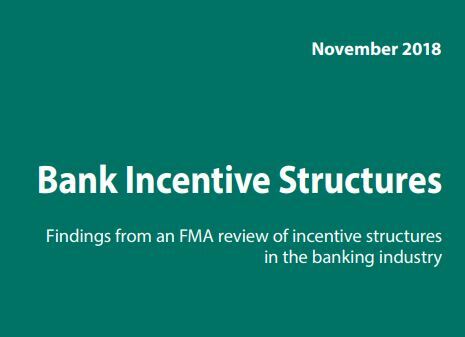 I do not need to raise the findings of the highly-critical FMA and Reserve Bank reports in to banking culture and conduct in New Zealand that have been released this month. ANZ’s actions are consistent with the findings of those reports especially with regard to the accountability and ownership of board members to properly measure and report on conduct and culture risks and issues. My expectation for this complaint is that your office will not simply look into it or make some enquiries of ANZ. My expectation is that you, the Banking Ombudsman of New Zealand, with the support of the chair of the board of the Banking Ombudsman Scheme, will challenge ANZ’s conduct in this matter. An appropriate response, without conceding my position in this issue (which ANZ has already accepted in writing BTW) would be is a 8 week campaign for a tender after the Christmas period. There is no wiggle room on this. Previously your office has very carefully avoided comment on the issues and evidence we have placed before it. Where we provided a legal opinion that ANZ erred in not informed me of the additional lending, your office did not explore this further because ANZ disagreed with that advice. Where we provided evidence of quite blatant obstruction and deception on the part of ANZ New Zealand, your office was silent. This time, we expect better and more. Subsequent to your advice at our last meeting, I have investigated resolution of the outstanding issues through other Government agencies. They have all responded that they consider the Office of the Banking Ombudsman to be the most appropriate agency for investigation and resolution of these and similar issues. While I tend to agree with your logic on this, the Government, at this time, does not. I expect that you both move in similar professional and probably social circles as Antonia Watson, David Hisco, Sir John Key and other members of ANZ’s management team and board. While they remain ultimately accountable, they may be unaware of the actions of minions further down their food chain. I do not expect that you will have any great challenges reaching out to the right people to resolve this. My deadline is 4PM tomorrow afternoon. If the forced sale of my home via a flawed tender proceeds tomorrow afternoon, nothing will change bar my living arrangements and that I will probably no longer be able to home my two fur babies. I will continue to seek accountability and restoration from ANZ Zealand and the Office of the Banking Ombudsman. To that end, this email is also a request for all information held by the Office of the Banking Ombudsman that mentions me by name, refers to me or my case(s) by any other unique identifier, or otherwise discusses the issues that I have raised with your office. This includes but is not limited to any and all correspondence or other communication between your office and ANZ New Zealand; your office and the Privacy Commission, the Commerce Commission and/or the Serious Fraud Office; any Member of Parliament or other elected officer; and between your office and the board of the Banking Ombudsman Scheme. It also includes any internal communications or dialogue. PS I apologise for any references to the Baking Ombudsman.They are subliminal slips. After five years of this, my mind desperately wants to be elsewhere.